ACA’s grassroots program provides an efficient way for members to get involved in the most critical legislative issues that impact the coatings industry. In COATINGSVOICE™, industry members can quickly view those legislative issues that are “live” and require action. These issues are highlighted for members because a letter from a constituent to an elected decision-maker makes a difference. 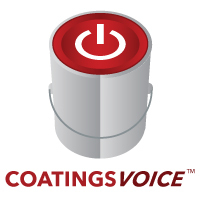 If you receive a Legislative Alert from COATINGSVOICE™, please take ACTION!! ACA serves as an advocate for members on legislative, regulatory and judicial issues, and supports industry’s commitment to environmental protection, product stewardship, health, safety, and the advancement of science and technology.